WE LOVE DESIGNING AND MAKING STATEMENT JEWELLERY NOTABLY UNIQUE WOMAN JUST LIKE YOU! 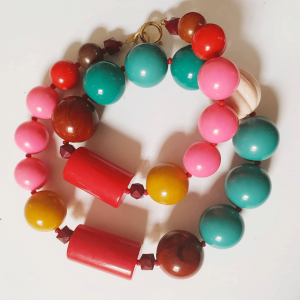 Our bi annual jewellery collections are lovingly made in Sydney and inspired by the modernist deco era, jet set glam 60s, boho 70s and tribal cultures. The Etelage brand has become synonymous with innovative design and meticulous handcrafting using an eclectic mix of vintage and modern brass, glass and stones with a strong emphasis on sustainable style. Drop by our stockists if you love the discovery of a local label, and enjoy the beauty of our jewellery in person. Made for the modern bohemian woman since 2002, every piece is designed to be layered, worn dressed up or dressed down…but ultimately to help you express your own style, and be your authentic self. Eclectic, not trend driven, you will love and wear for years. 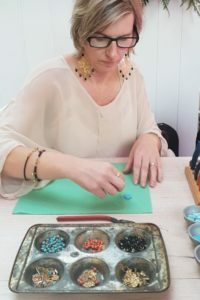 I started my jewellery design journey when I was 8. The 70s was the beginning of my creative exploration. I remember always making” stuff”, but it is jewellery “small sculptures” that have captured my heart and my hands! Since that time I have inherited, collected and fossicked a vast amount of exotic, tribal and highly collectable beads and embellishments. 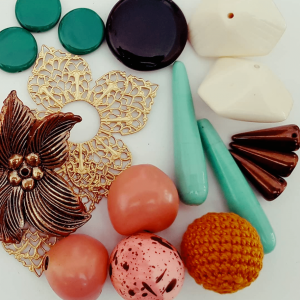 The 70s had it all – from boho chic to retro glam – and its influence on fashion and interiors has transcended generations like few eras, before or since. 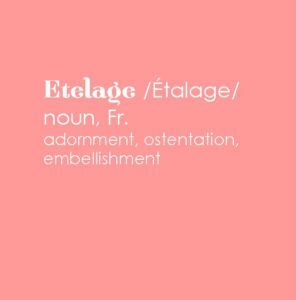 At Etelage we select the best elements of the iconic decade and infused them throughout our jewellery collections. Offering a fresh modern take on 70s bohemian opulence you will love to wear for years to come. And naturally no 70s-inspired collection would be complete without a sprinkling of gold. We are big fans of brass which imbues a relaxed opulence and evokes a classic glamour whilst delivering in spades in its eco style and wearability. 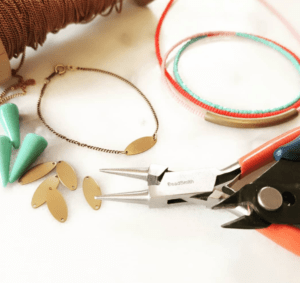 Want to stock home grown designers? Want to add to our growing number of stockists? Our range fits well with fashion, gift or home wares stores with a modern bohemian feel and a focus on artisan, local and ethical. We create elegant and bold statements which are notably unique. Ask any fashion stylist and they will tell you one thing: nothing completes an outfit like a one off accessory. Discover your style ID and what suits your body and face shape. With a few key accessories learn how to pull your look together. We love to help you look and feel amazing with accessories every single day!!! materials used: our jewellery is all nickel and lead free! 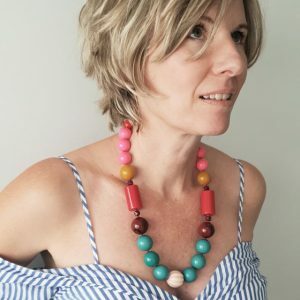 We source our vintage and modern elements broadly from former maker basements in the jewellery making hub of bohemia in Europe, to fair trade projects. 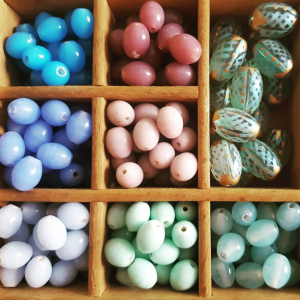 We are passionate about sustainable and ethical style which means we always source quality ethical, artisan and eco beads and charms. Brass is highly durable which means it just keeps getting better with age. The more you wear it the better it looks!!! Brass is solid and is polished easily which means it never peels, chips or fades. Brass is corrosion resistant which means it will not rust if you love to wear your jewellery at the beach or in the shower. Brass is green: a highly machinable material which makes it able to be accurately manufactured with less scrap, less rework and less energy than other materials. Products made from brass generally have good “cradle-to-grave” characteristics as not only do they show good durability but brass is also readily recycled at the end of the products working life. Basically it is the most eco of all metals you can work with. 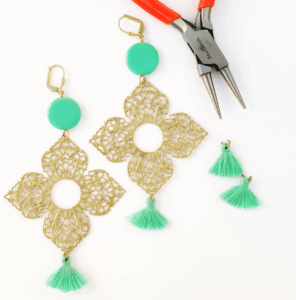 Brass is lead and nickel free which means no more sensitive and sore ears! Brass has a soft muted honey colouring, which makes it the most complimentary of all metal finishes for most skin tones. Please take care of me by removing when showering, swimming and sleeping. in a mix of a dash of vinegar, washing up detergent and luke warm water.